"All related work is being carried out," said Yang at a Thursday press conference featuring Chinese legislators and political advisers in aviation, China Aviation News reported Friday. The third block will see the JF-17's informatized warfare capability and weapons upgraded, Yang said. 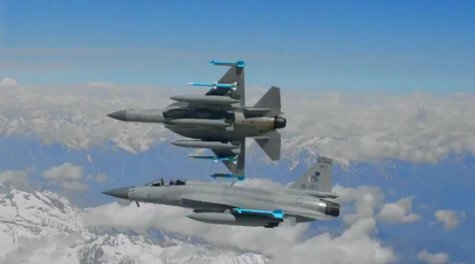 Wei Dongxu, a Beijing-based military analyst, told the Global Times on Monday that the JF-17 Block 3 is expected to be fitted with an active electronically scanned array radar, which can gather more information in combat, enabling the fighter jet to engage from a farther range and attack multiple targets at the same time. A helmet-mounted display and sight system could also allow pilots to aim whatever he sees. When asked about which countries have inquired about the JF-17 Block 3, Yang said "A lot of countries have come to buy. You sign [a contract for the JF-17], you benefit." The JF-17 is often described by its manufacturer and military observers as an advanced but also cost-effective fighter. It is currently contending with India's Tejas and South Korea's FA-50 in Malaysia's new fighter jet purchase plan, with the JF-17 being the most competitive option, Wei said.